From one of the greatest storytellers of our time, the acclaimed, bestselling, "gripping story of a courageous and sensible girl surviving the adults around her" ("St. Louis Post Dispatch")--"a page turner" ("Entertainment Weekly"). It is 1970 in a small town in California. "Bean" Holladay is twelve and her sister, Liz, is fifteen when their artistic mother, Charlotte, takes off to find herself, leaving her girls enough money to last a month or two. When Bean returns from school one day and sees a police car outside the house, she and Liz decide to take the bus to Virginia, where their widowed Uncle Tinsley lives in the decaying mansion that's been in Charlotte's family for generations. An impetuous optimist, Bean soon discovers who her father was, and hears stories about why their mother left Virginia in the first place. Money is tight, and the sisters start babysitting and doing office work for Jerry Maddox, foreman of the mill in town, who bullies his workers, his tenants, his children, and his wife. Liz is whip-smart--an inventor of word games, reader of Edgar Allan Poe, nonconformist. But when school starts in the fall, it's Bean who easily adjusts, and Liz who becomes increasingly withdrawn. And then something happens to Liz in the car with Maddox. 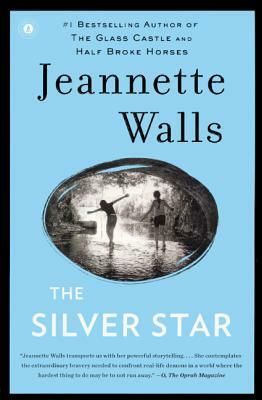 Jeannette Walls has written a deeply moving novel about triumph over adversity and about people who find a way to love each other and the world, despite its flaws and injustices.